Do you have a small business? Did you just start your start-up? Is business booming? If you answered “yes” to the first two questions, odds are your answer to the third question is “no.” Starting a small business is very time consuming and takes tons of effort. Visibility and recognition are two keys to building your customer base and this comes with marketing. If you have a new small business, one way you can promote it is through Search Engine Marketing (SEM). SEM is the process of marketing your business using an affordable small business marketing idea that is easy to implement by yourself with a little effort. Search Engine Marketing is a highly effective and also a cost effective method of marketing for small businesses. SEM allows instant visibility for your small business using the most highly trafficked and most targeted method of search today, search engines. It is no secret that most people today refer to the home page of their favorite search engine as a means to locate the service or product that they need or want. Does your business appear in the search results? If it does not, you are losing business. In some cases you may very well be losing business to competitors that are note even as close to your potential customers as you are. For fresh start-ups, this is unacceptable. So, how can this problem be fixed? It can easily be fixed through Search Engine Marketing. SEM is really a simple process. If you think that it is something that you cannot do, you are quite mistaken. There are a handful of things that need to be done in order to get started and they are all within your ability. Here are the steps you would need to take. Set up a website. To set up a website, you need two things, a domain name and hosting. Domain names are very easy to obtain. All you have to do is head over to GoDaddy and search for a domain name that describes your business. The best names and the ones with the highest marketing value are the ones with your product or service in the name in addition to your location. Generally, the best location to add to your domain name is the city that your business is in. If your city has a small population, then you can use your state or province. This will influence you search engine ranking greatly in a good way. Once you have a domain name, go to HostGator and sign up for hosting. Good hosting is important because of the fact that your want exceptional server up-time meaning you want your website to be visible all of the time. If you website is available to inquirers at a time that is convenient for them then you have move that much closer to gaining a new client. Once you have purchased hosting, add your HostGator Domain Name Servers (DNS) to your GoDaddy DNS list for the domain name you purchased. This will be done in your GoDaddy account. Now, HostGator is allowed to serve your website to inquiries for that domain name. After your Domain Name Servers have been set, you can launch your website. To do this, simply open your HostGator CPanel and find the Fantastico De Luxe website installation software. Open it and install WordPress or Joomla in a single click. Your website will be up and running in no time. After your website is up, type the web address of your domain name in your browser and verify that you can see your new website. If everything is working, you can now begin adding content about your business to your website. Also, you would want to add your contact information so that potential customers can easily get n touch with you. Market your site. Once your website is up and running, you need to market it to search engines specifically. This is easy to do but it does take a little work. You now must write unique and informative articles about your subject of interest. Once you have written some articles, submit them to article directories. Article directories allow links pointing to your website in the article resource box. Add links with your keywords of interest as the anchor text. Search engines will spider and index these articles and the links that the resource box contains. Special note will be made of the links and they will be counted as votes in favor of your website as a resource relevant to that search term. Congratulations! You have started the process of marketing your business using an affordable small business marketing idea, namely, local search engine marketing. Continue to add content to your site and submit articles to article directories to maintain and increase your visibility. This article was originally published on 07 Mar, 2018 by . You have a roofing business. But you certainly can’t get anywhere if you don’t have any customers. And often new customers want to know what your previous customers thought of you. While that might seem scary, it can actually work in your favor. But you have to know the proper steps to take. Here are 5 ways client feedback improves your roofing marketing. It’s important to know what kinds of testimonials you are looking for rather than just posting anything you receive. You want potential customers to feel they’ve come to the right place. Otherwise, why bother doing it at all? Most potential customers are going to check out your website before they make a decision. This is where your roofing marketing efforts can work wonders. Build trust with old and new customers. Receive unbiased accounts of how well your business works. Convince your undecided customer that you can help them, too. But it’s not enough to just post one or two testimonials and then leave them there for 5 years. If you’re receiving enough testimonials from your customers you can easily use an app called GuildQuality to simply display your most recent customer feedback. It’s an easy way to enhance your roofing marketing with little effort on your part. One quick and easy way to get customer feedback quickly is by placing your roofing company on online review sites. While it takes a bit of work, these sites can greatly increase your online profile. These sites also free so your roofing marketing dollars will not be spent unless you choose to do additional marketing. It will take some time, but these following sites are a great place to get online reviews very quickly and also engage with your customers. Sometimes you just aren’t getting any customer reviews. If you want more business then get proactive about getting your customers to provide feedback. Since people love to talk about themselves, most of your customers will be more than happy to take the time to supply you with the information you need. Create a Survey: Send this to customers you’re trying to woo. This will help you figure out what’s going wrong and more importantly, what your potential customers are looking for. Ask Current Customers: You want instant feedback? Be bold and ask your customers what they want and what they’re looking for in a roofing company. Treat Customers Well: A great way to get local customers talking is by providing great service. Showing them you care is a great way to retain and gain customers. Happy customers come back and will sing your praises. Unhappy customers bad mouth you for a long time. Editing the Testimonial (in any way, shape or form) Just leave as is. Not Gaining Permission First: Never, ever post a comment without first gaining permission from the customer. Lie: Don’t invent testimonials. People will read right through it straight away. Roofing marketing doesn’t have to be difficult but it can be time-consuming. We’re here to help you save time and get more roofing marketing leads. We are all about sharing! Are you having trouble generating quality commercial roofing leads for your business? Try these digital marketing tactics to get better leads today – leads that you can close! Yep, you heard it here first – email marketing is once again an incredibly popular way to generate commercial roofing leads – and leads in pretty much any industry. E-newsletters are getting more and more popular because they offer a one-stop-shopping experience for information related to your company. Think about it: while on a website, visitors have to choose to navigate through your internal pages, in an e-newsletter you can condense the most important pages of your website in one place. You can highlight an employee and customer of the month, tell them about recent jobs you’ve done, show them a video of a new roofing strategy…all in a single email. Especially since social media posts are so brief – a single picture with a caption, a 140-character limit – emails allow you to offer more long-form content to your clients. E-newsletters remind your clients of your name at least once a month, and they establish you as an authority in your field. 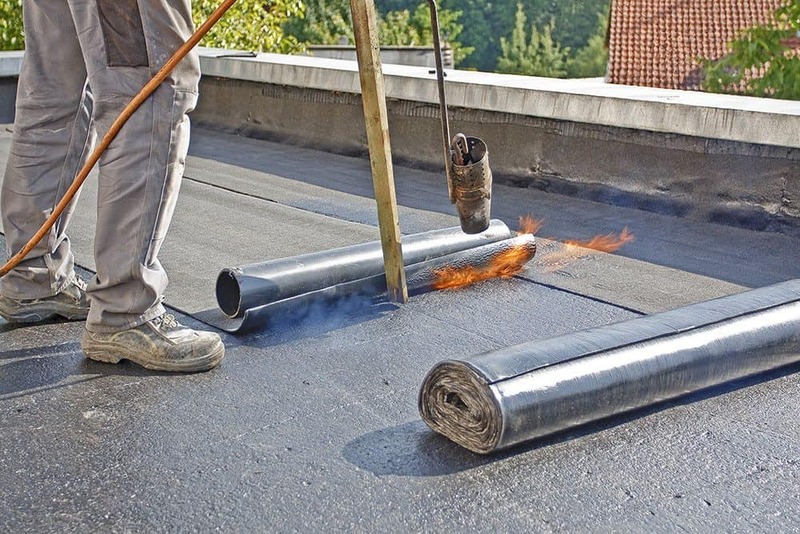 Even if the people on your mailing list don’t need roofing services now, when they do – they’ll know where to go. In order to get access to quality commercial roofing leads, you need to get people onto your website. For example, imagine there’s a person that’s just found a huge hole in his roof or has been hit by a huge storm. He needs roof help that day. How can you make sure he lands on your site? By doing constant keyword searches that tell you exactly what people are typing into their search engines in your service area when they need roofing help. Instead, get specific by including longer, local keywords with your service area (things like “roofing company Seattle WA”) in your web content, your HTML tags, and your titles and headings. Use tools like Keyword Tool to get a free list of popular keywords in your area and in the roofing industry. Facebook gives you great access to top leads because of its awesome re-marketing tools. This means that people who have already been to your website and looked at your roofing services will see ads for your roofing company in their news feeds, reminding them to get back in touch with you to schedule an appointment. Great leads are all about finding the people who need your services – not randomly pitching to a wide market, most of whom have no interest in re-doing their roof. 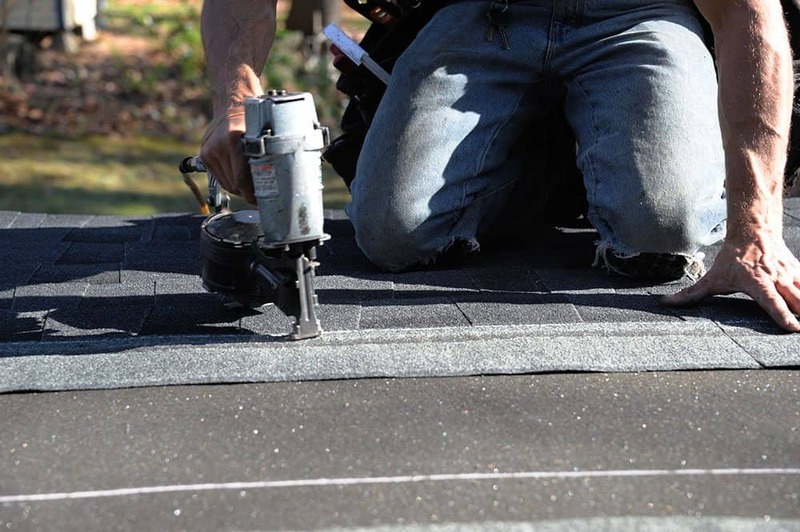 Getting a Facebook page for your roofing business means you’ll be able to connect with the people that have already searched for roofing help. Thanks to these tips, your leads are going to be higher in quality and in number. For more awesome digital marketing strategies for your roofing business, as well as access to top services, check out our website and blog. When you’re the owner of a roofing company, you have to do a lot of work yourself. Depending on the size of your company, you might have to be your own salesman and find new clients, and you’re your own secretary when you call to confirm appointments. On top of all of that, you have to have to be HR, the shift manager, and an accountant all rolled into one. When you have so much on your mind it can be easy to let marketing fall by the wayside. If you want a simple way to market your business that doesn’t require a lot of work, you need roofing SEO. SEO makes it easy to find potential clients and workers, you just have to make sure that you’re using it the right way. A few well-placed keywords, links, and content can make it easy for the right people to find your business. If you’re new to digital marketing, don’t worry. Roofing SEO is easy when you follow these simple tips. You know that your contact information is up to date on your website, but what about other places. Do a quick search for your company in Google. Do you see the right address pop up? What about the business hours, are they consistent? Look through your social media profiles and dig deep into your own account. Is the website properly listed? Is all of the contact information correct? Consistency is an often overlooked part of SEO, but it’s simple to get right. Just take a little time to make sure that the right information is available online. A missing phone number or wrong address can make it difficult for customers to get in touch with you. Want to know the easiest way to dominate local SEO? A lot of small businesses have had luck with localizing their SEO. Keywords with specific locations in them are easy to rank for and helps ensure that the right customers are finding your business. If you do roofing in Johnstown, CO, add the location to your keywords. 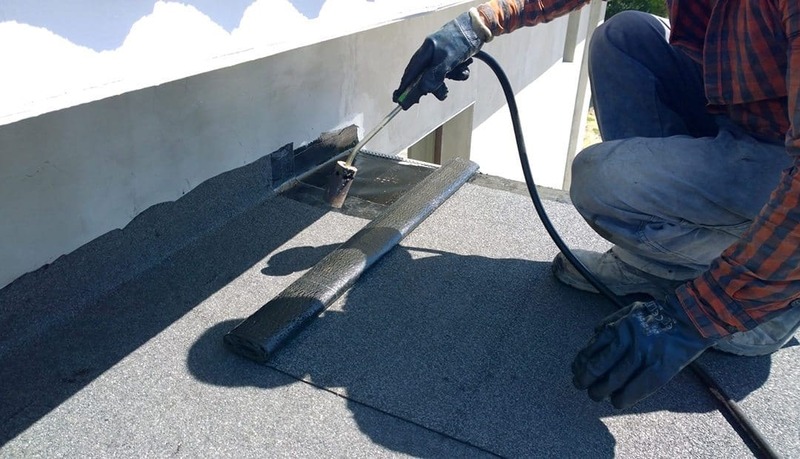 Instead using the phrase “roof repair”, utilize “roof repair Johnstown CO” in your content. Sometimes simply adding the state or even the region and the state to your content can do wonders for search results. Now that you know to add location-based keywords to your content, it’s time to make sure they’re a part of your entire roofing SEO campaign. Have you ever noticed those few sentences that pop up underneath a website in Google search? That content is known as a meta description. It gives people information about websites, and it’s an often neglected part of SEO. Make sure that you have meta descriptions for each page on your website, and use location keywords in them. You can also get a little SEO boost by including location keywords in other areas of your site. Use them in your H1s and alt tags when it’s appropriate. Now that you know how location keywords can help SEO, you may be eager to put them wherever there’s text. In SEO you can have too much of a good thing, you don’t want to go overboard with keywords. Only use keywords where they make sense, don’t insert them randomly into content. Doing this can actually hurt your SEO. Do you have questions about roofing SEO for contractors? Have you used SEO methods that helped your roofing business? Tell us about it in our comments section! With over 101,000 roofing businesses in the United States alone, you need to do everything possible to make sure yours stands out. Here, we’ll tell you six of our favorite digital marketing strategies to take your roofing website to the next level. These days, close to 90% of people value online business reviews just as much as they do recommendations from friends or colleagues. This means that if your reviews aren’t easy to find on your roofing website, potential customers will just go to your competitor. Make sure, in addition to having reviews on pages like Google My Business and review websites like Yelp and Angie’s List, that your customer testimonials are displayed on your roofing website. Show at least a few lines from satisfied customers on your homepage, and try to create a page in your drop-down header menu that’s dedicated to what your customers are saying about your services. Video content has become more and more popular this year in digital marketing! These days, people don’t always have time or patience to read through the internal pages of your website. Think of a homepage video clip as your 2-minute elevator pitch. Plus, it helps people to have a face to put with the brand’s name and services. Let people see your roofing equipment at work, and introduce yourself! 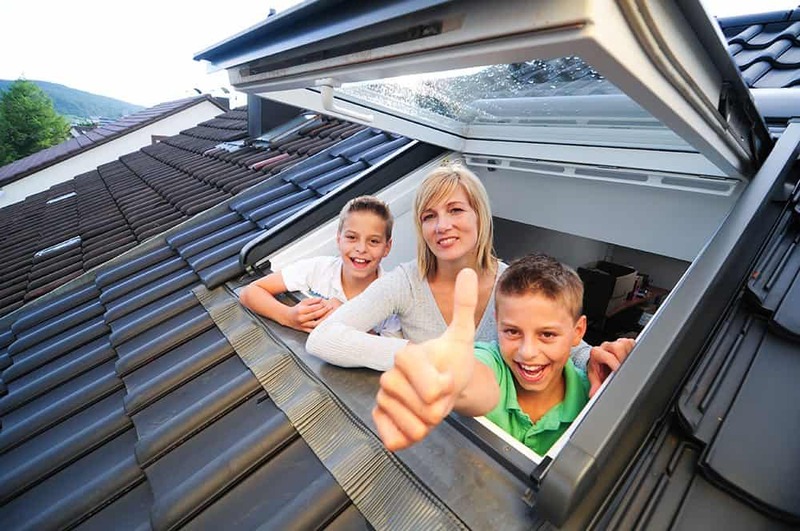 Everyone is on social media these days – yes, even roofing websites. You’d be surprised just how many potential customers are combing through the roofing hashtag on Facebook, Twitter, or Instagram for inspiration and for services. Make sure you include links to all your social media profiles on every page of your website – remember, you can’t guarantee that every visitor will land on your homepage. Encourage website visitors to follow you on social media for giveaways, discount codes, and inspiration! Local SEO is more important than ever. To help local clients find your website and book your services, always make sure that your company’s contact information is current and is updated on both the website and on Google My Business. Try to include your town’s name, the state you’re active in, and your complete service area in as much of your content as possible. Also, make sure you frequently update your website to stay at the top of local results! You probably already know just how important using images to both break up your content and give people a visual idea of what your roofing styles look like is. But keep in mind too that image file names and captions are the perfect place to include keywords to bump your site up in the rankings! Lastly, always make sure that the “Contact Us” page of your website is crisp, visible, and easy to navigate. You may want to put your contact information in both the header and footer of your homepage, as well as on your internal pages. Even if you’re using a contact form, still display your email, address, and phone number clearly. Use these tips to see big changes in your rankings! Remember to always check back with us for more tips and tricks about how to get the best digital marketing strategy for your business. 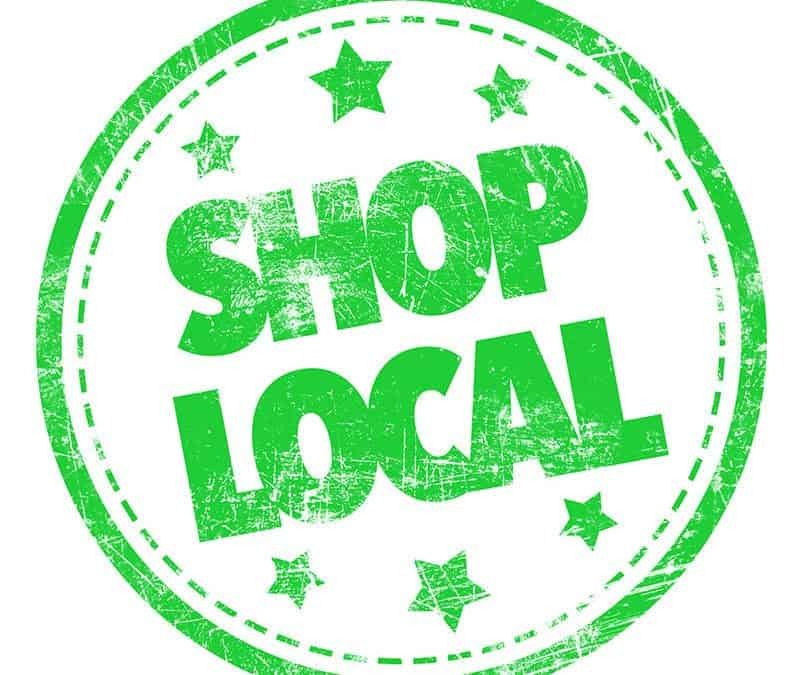 Great news: according to a recent study, 94% of consumers say shopping small and local is important to them. But if you’re not using hyperlocal marketing, especially as a part of your web development plan, these consumers may not be able to find you. To help connect you with more shoppers than ever, we’ve created this rapid-fire guide about why hyperlocal marketing is crucial to your small business. We get that you may be wary of yet another industry buzzword, but in reality, hyperlocal marketing is hardly the new kid on the block. We know it’s hard to imagine, but there was, not (so) long ago, a time without Internet. In that dark time, hyperlocal marketing – i.e., marketing to those immediately and closest around them – was all companies had. But now, businesses are getting back into going super-local, especially as we learn that more Americans prefer to shop small and local than they do with big chains and brands. Hyperlocal marketing is a great way to connect with these people – except now, to get the folks in your neighborhood to shop at your store, you don’t have to rely on word of mouth alone. You can tailor your digital content and your social media strategy to get their attention and then their business. And once they’re happily satisfied, then word of mouth will multiply your efforts. The incredible return on investment: sponsoring local sports teams or using local influencers in your social content won’t cost you much, but it can get your name right out to your target market – the people that can drive into your store that day. Ready To Implement Your Hyperlocal Marketing Plan? If so, we’re ready to help. This post has shown you why it matters. Now, reach out to us to get a hyperlocal marketing strategy that’s exactly right for your business and your budget. To do that, you’ll want to work with a reputable company. For more information, check out our site and learn more about us. Copyright © 2019 Spectrum Interactive Group. All Rights Reserved.